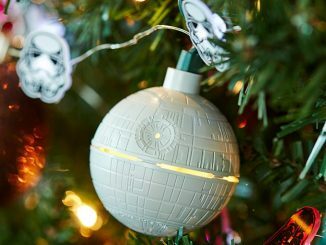 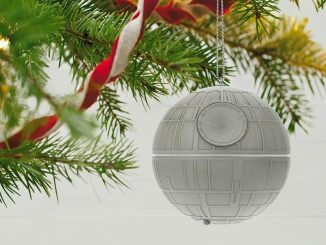 While these Star Wars TIE Fighter String Lights would go great on a Christmas tree, especially if it was decorated with related items like a Death Star Tree Topper, X-Wing Starfighter Ornament, and Millennium Falcon Ornament, they would make a cool decoration any time of year. 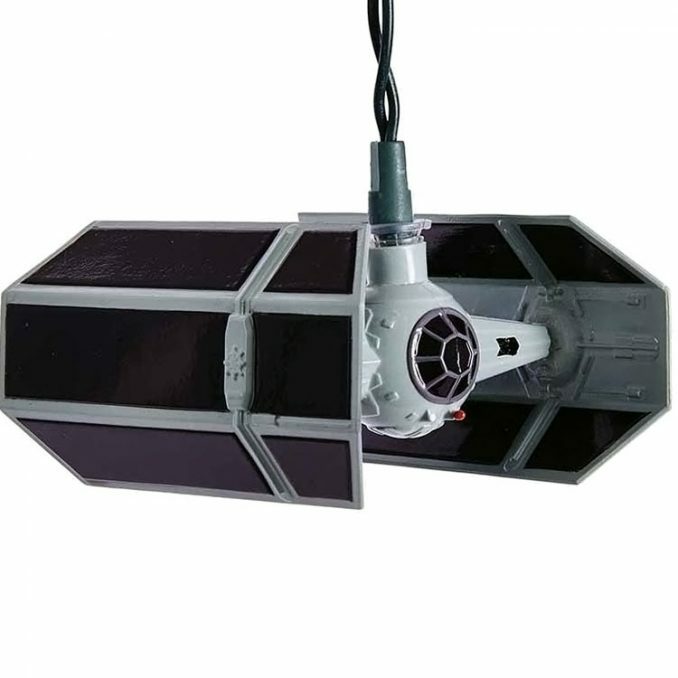 It’s officially-licensed Star Wars merchandise, so the TIE Fighters on these string lights can look just like Darth Vader’s TIE Advanced x1. 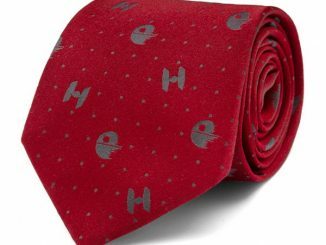 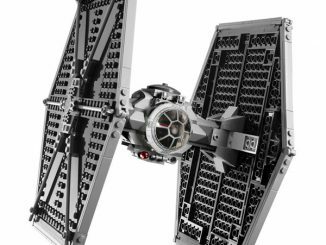 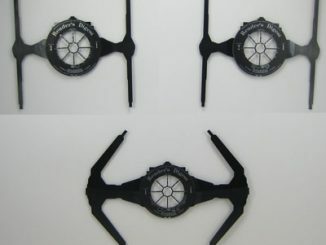 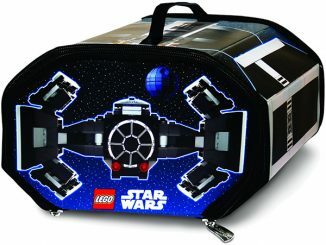 The string contains 5 TIE Fighters and measures about 6′ long. 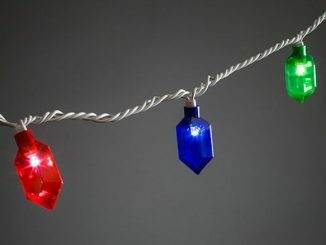 They even include a spare fuse and 4 extra bulbs, so you’re set if something burns out. 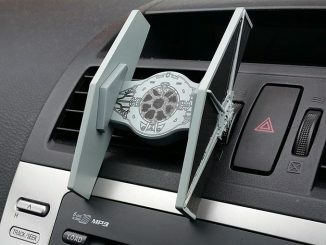 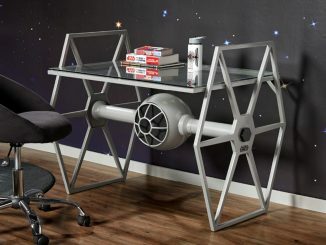 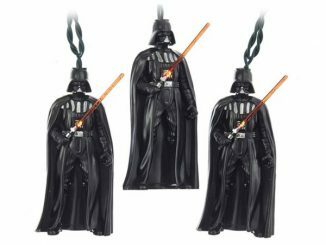 Buy these Star Wars TIE Fighter String Lights at ThinkGeek.com. 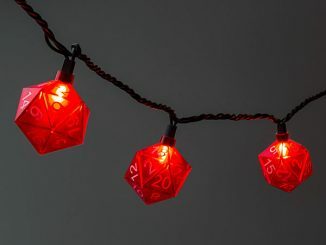 The regular price is $29.99 for the set, but currently (as of January 27, 2019) they are on sale for just $7.50, a savings of 75% off. 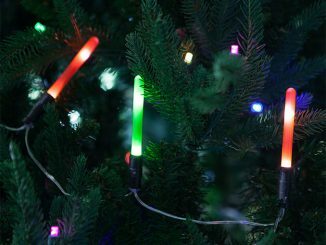 Other cool Star Wars string light include Lightsabers, Death Stars, Darth Vader, R2-D2, and Stormtroopers.